Sabrina Dhowre (L) and Idris Elba attend "The Mountain Between Us" premiere during the 2017 Toronto International Film Festival at Roy Thomson Hall on Sept. 10, 2017, in Toronto, Canada. The Valentine's Day celebrations have started a bit early for one Hollywood couple. Idris Elba is engaged to girlfriend Sabrina Dhowre after popping the big question at a movie theatre in London. "Another @riocinema first!" the venue shared on Twitter when confirming the news Saturday morning. "Still 5 days to Valentine's Day but @idriselba went down on one knee and proposed to his girlfriend live on stage this morning before a preview of his film #Yardie." The venue added, "She said yes and there was much clapping and cheering." Other guests attending the screening would also share their congratulations on social media. One even captured the romantic moment on video. 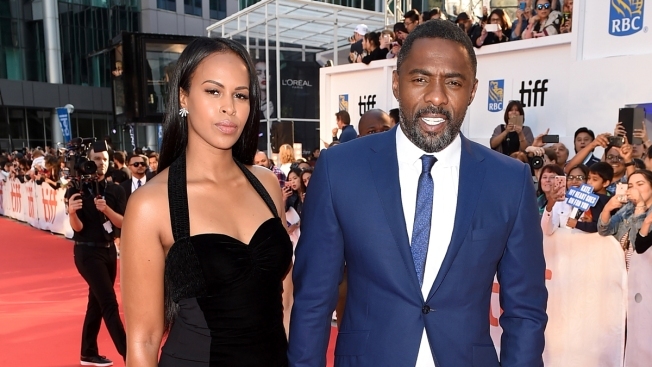 Back in September of 2017, Idris and former Miss Vancouver made their red carpet debut at the Toronto International Film Festival. The pair posed for photos together before attending the premiere of Molly's Game. And while the two tried to keep their romance private, some may be surprised to find out Idris made such a big step in the relationship. "Am I ever gonna get remarried? I don't think so," the actor told Essence magazine in July. "Yeah, I don't think so. Marriage is an institution of sorts. And I've done it. It's not for everybody. It's not my life's calling." Perhaps someone has had a change of heart. "When you're the brains in the relationship and he's the beauty," Sabrina recently joked on Instagram while posing with her man. "@idriselba #justjoking." Congratulations to the couple on their big news!